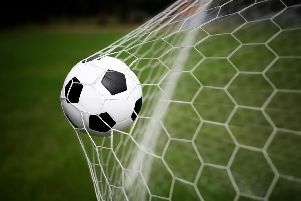 East Dean got back to some league action for only the second time this year with the visit of promotion-chasing Angmering, who proved too strong and won the Championship south clash 4-2. The Dean started on the front foot and had more possession early on but a long-range effort from James Ford was the closest they came in the opening quarter. Angmering settled into the game and created a few half-chances of their own. Aaron Freeman found himself unmarked at the back post to stab home from close range. The visitors were awarded a penalty but it was missed – but they did equalise on the stroke of half-time. Angmering came out the blocks in the second half and scored two more on the break and controlled the second half but a couple of substitutions from The Dean brought them back into it as Nathan Freeman’s free-kick found its way in. Both teams had chances but The Dean’s sharpness was not there. Angmering scored a fourth late on. East Dean MoM was Daniel Richards. East Dean: Phillpot, Ferre, Freeman N, Reed, Oram, Richards, Haynes, Freeman A, Dray, Ford, Bessey. Subs: Dunne, Nicholson, Cooper, Silvester. Petworth FC plan to start under-nine and under-ten teams for next season. It has been around ten years since there were teams for youngsters in Petworth and Rob Torode, the first-team captain, thinks the time is right to form these. The plan is to apply to enter two teams in the Arun & Chichester Youth League for next season. The club will hold a signing-on session to coincide with the club’s annual six-a-side tournament, which will be taking place in Petworth Park, off Tillington Road on Sunday, May 27. All youngsters within these age groups are encouraged to come along and sign up from 11am. The club hope enough players and parents will take the opportunity to make these teams successful, especially as it is the town council’s ethos to bring more sport to the park for all ages since it took over the lease of the ground from the National Trust. The football club are organising a race night in the pavilion in the park this Saturday, April 14, starting at 7pm. Entry is £7 including supper. If the evening is well-attended, some of the profits will be used to help the new teams set up with kit and equipment, so go along and enjoy a fun evening and help them get started.